This article serves as a primer for identifying the different types of consulting companies out there, and how to find the best consulting fit. 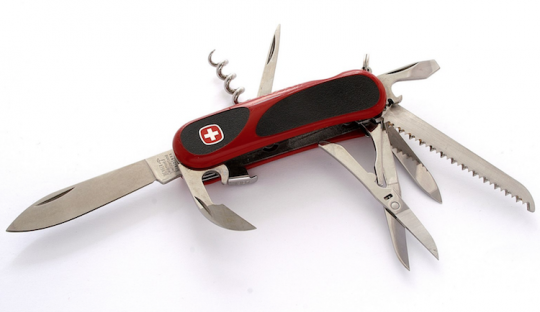 Like the Swiss army knives, most consulting companies have lots of tools and gadgets at the ready for almost any contingency or situation an insurer might experience. However, as with the acclaimed knives, it’s sometimes difficult for insurers to know which consultant tools to use, when to use them, and how to leverage those tools for their success. Consulting companies often market and sell their capabilities as if they could solve whatever issue an insurer might have, and in more cases than not such a claim is not valid. That’s why it’s important for insurers to identify the kind of consulting company that will be the best fit for their particular initiative or issue, and that’s not always easy. This article serves as a primer for identifying the different types of consulting companies out there, and how to find that best consulting fit. In the current insurance industry, there are basically six categories of consultancies available. The boutique and “one-man-band” consultants, where firms usually have one to 10 consultants and are typically very focused—and therefore very good—at one thing. That thing might be anything from custom system development to strategic planning. They can often bring strong talent to the table, but the downside is that there’s a finite amount of it, and when these firms try to stretch beyond their capabilities, even at the request of their insurer clients, the results are often not good. They’re best used when an insurer has a very focused need that requires deep expertise. The specialist firms are a little larger, typically 10 to 50+ employees, and while they hang their hat on a particular specialty, they also offer the kinds of services that surround and support that specialty, making it easier for insurers to leverage their services across complex or multiple projects. There’s lots of good news for insurers in this category—these firms generally have sufficient depth and breadth to lead any initiative, have highly skilled consultants, are just small enough that every client gets first-class treatment, and are incentivized to develop long-term relationships, serving as a trusted advisor. The downside is that they’ll often need to partner with larger firms to handle large projects and programs. Regional consulting firms focus on geographic targets, covering a few to several states, and tend to leverage their resources across clients and opportunities. They can typically handle small-to-medium-sized initiatives and often sell themselves as a jack-of-all-trades consultancy that won’t break an insurer’s budget. These firms can be fairly big—a couple of hundred employees is not unheard of—but they often favor the breadth over depth model when it comes to consultant skill sets. That makes it essential that insurers identify and contract for the specific skill sets they need from the consultancy, and lock those individuals in for as long as they might be needed. Not doing so creates the risk that a critical consulting resource may be moved off an insurer’s initiative at just the wrong time. 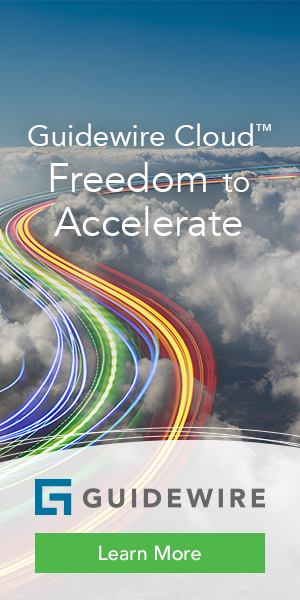 The software and hardware solution providers and their partner surrogates are familiar to most in the insurance industry as these are the software and hardware products that have become key to insurer modernization efforts. These consultants have very deep and specific internal knowledge and skills about the solutions they sell, and in many cases, they are the best (and only) fit for cutting-edge software or hardware. They also often use external partners to increase their consulting bandwidth, and not always to good effect. Their employee size is all over the map, from a handful all the way into the thousands for the biggest firms. On the downside, since these firms have unique expertise, they will often work to leverage cross and up-sell opportunities for their partners, have some inconsistencies in their consulting talent, and can be pretty expensive since they’re usually the only game in town for their specific product or platform. The large outsourcing companies constitute another category of insurance consulting resources. These are the “big league” firms that can scale to almost any size project and often lead with very aggressive initial pricing. Their footprint is usually national (and sometimes international), and their model is to get in the door as a way to explore other potential opportunities with insurers, although in fairness they’re often very good in one or two focus areas. The problems start when the initial consulting team is pulled out of an insurer for higher priority clients, which often happens. That leads to a high turnover rate and a very uneven quality of consultant and usually requires an insurer to train the new consultants as they rotate through the project doors. Because of this, these firms can be pretty rigid in their methodology and approach for their work and are typically unwilling to customize anything to a specific insurer client. And last but not least are the “big dog” consultants, so called because everybody knows their names as major players in the market. They are big, capable, national and international in scope, and they market directly to the insurer’s C-level and the board of directors. They are often perceived as the safest (and most expensive) choice because of the breadth and depth they can bring to bear for any insurer. The key of course, and often the challenge, is getting the right people from them. Their best people are reserved for their best clients, so if an insurer is not in that category, it can be a problem. They are also highly compensated, and therefore highly motivated, to find additional business in any insurer, so an insurer needs to be prepared for those conversations. While none of these six common categories of consultants are inherently good or bad for any insurer, each model brings its strengths and weaknesses to an engagement, so it’s important for insurers to understand that and to focus on the best possible consulting fit for their specific needs. Doing otherwise can lead to frustration and aggravation—just like when that Swiss army knife only has a spoon when you really need a bottle opener. Rob Wolfe // Rob Wolfe is an Architect and Associate Director at X by 2. He has 30+ years of experience in a variety of industries with a focus on enterprise level architecture, systems development and technology transformation, helping companies large and small build systems that are worth the investment. Wolfe holds a BS in Computer Science from Acadia University, Nova Scotia. As a Boutique Consultant, I completely accept that my expertise is narrow and deep. However that doesn’t preclude me from working with other niche consultants who also can bring deep expertise into the conversation. My niche is Blockchain/Distributed Ledger Technology (and its adoption in commercial insurance). I’ve also worked with independent consultants who have expertise in Artificial Intelligence/Machine Learning, Robo-Process Automation, IoT and other emerging technologies that larger practices may have less knowledge and experience in. The one advantage the smaller players have in that we’re not looking to “land and expand” as part of the engagement and we genuinely want to offer the best advice, guidance and help tot eh clients!